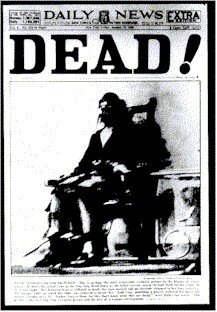 Mrs. Ruth Snyder has a date with Sing Sing’s electric chair on January 12, 1928, unless her plea for executive clemency is granted. The seductive blonde and her lover, corset salesman Judd Gray (see photo), were both tried and convicted of murdering Ruth’s husband by caving in his skull with a window sash weight, strangling him with a garrote fashioned out of picture wire and a gold pen, and finally stuffing chloroform soaked rags into his nostrils. 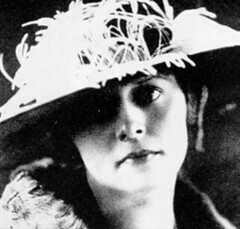 If there is an explanation for the obvious overkill in the murder of Albert Snyder, it must be that Ruth’s previous attempts to snuff out the life of her husband (twice by asphyxiation and once by poison) had failed – and she wasn’t about to give up. Ruth had persuaded her husband to take out a double indemnity policy, which would pay her in the event of his accidental death. It was the lure of the $97,000 worth of life insurance that compelled her to continue with her diabolical schemes until she succeeded. Fueled by two bottles of whiskey and profound stupidity, the criminally-challenged duo staged the murder scene as a burglary gone horribly wrong. But their pathetic plan was doomed to failure. They threw an Italian language newspaper on the floor as a false clue to the identity of the killers. They emptied dresser drawers and overturned chairs. And in an act that would eventually help prosecutors to prove her guilt beyond a reasonable doubt, Ruth hid her allegedly stolen jewelry under her mattress, about three feet away from Albert’s battered body! The trial of Ruth and Judd would be a media circus, and celebrities such as director D.W. Griffith, and evangelists Billy Sunday and Aimee Semple McPherson would attend. Ruth would be called “ruthless Ruth”, “vampire”, and the “blonde fiend” by the press. Evidently not all men found those appellations a turn-off, because Ruth received at least 160 marriage proposals during her incarceration. Unfortunately for Ruth, her plea for clemency would be denied by Governor Al Smith. Her execution would be famously recorded by newspaper man Tom Howard. The ingenious reporter had strapped a miniature camera to his ankle beneath his trousers. Just as the executioner threw the switch on the whimpering murderess, Tom raised the cuff of his pants and snapped the tabloid photo of a lifetime. The murderers were unexceptional, but their crime inspired art. “Machinal”, a play by Sophie Treadwell was deemed one of the best of 1928-29. 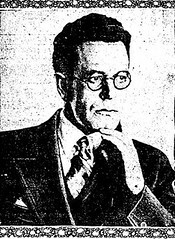 James M. Cain’s brilliant novels “Double Indemnity” and “The Postman Always Rings Twice” are said to have been inspired by Albert Snyder’s murder. And, of course, each of the novels translated into two of the finest examples of film noir ever produced.